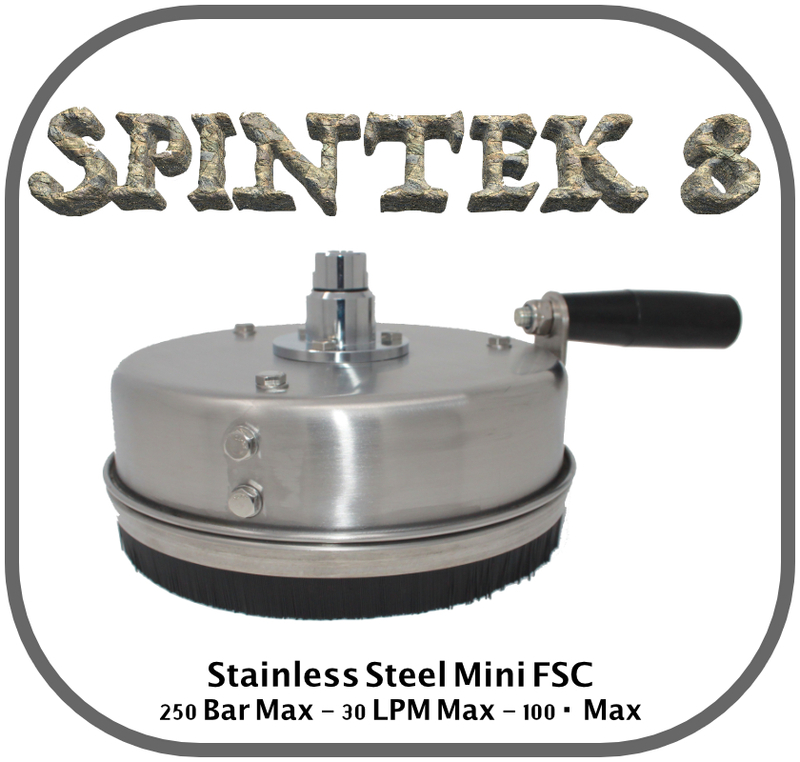 Mini stainless steel flat surface cleaner, designed to be hand held or fitted to the end of a lance. Fitted with 2 x 02 stainless steel jets, a reinforced plastic handle and a 1/4" female inlet thread to which a lance or a mini quick release can be fitted. The cover measures 8inches in diameter and the inside arm measures 6 inches.